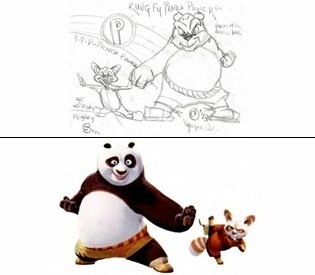 Jayme Gordon has been accused of fraud and perjury by prosecutors for allegedly back-dating drawings that he used as evidence to sue DreamWorks over Kung Fu Panda copyright infringement. Jayme Gordon, 51, took out a lawsuit in 2011 against the company behind the Kung Fu Panda movies, claiming he had invented the title character. Prosecutors say Jayme Gordon created his scheme after seeing a trailer for the first movie in the series in 2008. His lawyer, Robert Griffin, said his client “maintains his innocence”. Authorities allege Jayme Gordon’s idea was to make it look like the movie was based on sketches he had made for a story he had already written, entitled Panda Power. The Massachusetts man filed a copyright infringement lawsuit against DreamWorks and suggested a settlement of $12 million, which the company rejected. Authorities said Jayme Gordon had deleted evidence on his computer that he would have been required to hand over under court rules. It is alleged Jayme Gordon had traced some of his panda drawings from a Lion King coloring book published in 1996, dating his own drawings from 1993 and 1994. When DreamWorks produced this evidence to Jayme Gordon, he agreed to dismiss the legal action that had already cost the company $3 million to defend. Boston FBI agent Harold Shaw said: “Mr. Gordon went to great lengths to orchestrate and maintain this fraudulent scheme, trying to take credit for ideas he did not come up with. Jayme Gordon is charged with four counts of wire fraud and three counts of perjury. If convicted of the most serious charges, he could face up to 20 years in jail. The original Kung Fu Panda movie was released in 2008, with a sequel coming out three years later. The third movie in the computer animated series will be released in January 2016.